The Stay-Tight Bullet Points feature a built in O-ring system that prevents the field tip from vibrating loose, which means your days of tightening your field points after every shot are over. Perfect for target practice in foam or plastic targets, the shape of the field points makes them easy to pull out of your target. For carbon and aluminum arrows. Available in 100 grain and 125 grain. The Stay-Tight Bullet Points feature a built in O-ring system that prevents the field tip from vibrating loose, which means your days of tightening your field points after every shot are over. 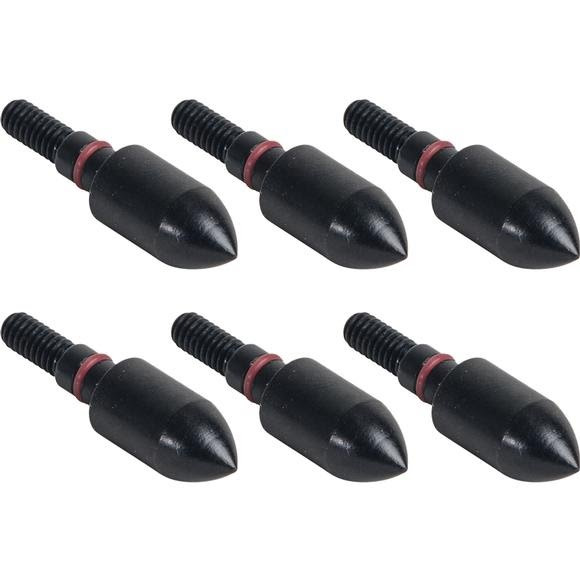 Perfect for target practice in foam or plastic targets, the shape of the field points makes them easy to pull out of your target. For carbon and aluminum arrows. Available in 100 grain and 125 grain. Measurements Diameter- 9/32", 5/16", 11/32"